Haha! Oh gosh. I almost forgot that ship name. Aw, Felix... Finally making a move with a thoughtful b-day gift to Jess. 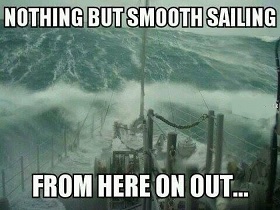 Hahahaha that picture though, omg- That certainly doesn't look smooth! Felix scoring some major friendship points. Yeah! That was sweet. a ship starts sailing.. ? Welcome aboard! Raise the anchor and set sail! I'm sure she wouldn't decline. Or would she? Hmm. That was nice of him :) .Also,looking at the comments makes me feel like I'm in an arena for a sports game,except instead of fans we have shippers, and instead of sports, we're watching people do stuff together.although I don't think there's ever been a place where an announcer could say"AND THE CROWD GETS READY TO SAIL! "or "WE HAVE PEOPLE IN THE CROWD FORTIFYING THEIR SHIPS!"